Sean Forbes, PhD is a Research Assistant Professor in the Department of Physical Therapy. Sean completed his doctoral studies at the University of Western Ontario (School of Kinesiology), where his research focused on skeletal muscle bioenergetics using magnetic resonance spectroscopy (MRS). 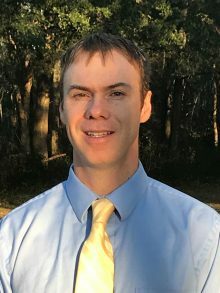 Following graduate studies, he completed post-doctoral fellowships with Dr. Ron Meyer at Michigan State University (Department of Physiology) and Drs. Krista Vandenborne and Glenn Walter in the Muscle Physiology Laboratory at the University of Florida. Sean’s primary research interests involve implementing novel MRI/MRS techniques to monitor the progression of disease and treatments in muscular dystrophies. His research utilizes a translational approach, and he is currently examining the effects of potential therapeutic interventions and exercise on skeletal muscle and cardiac function.